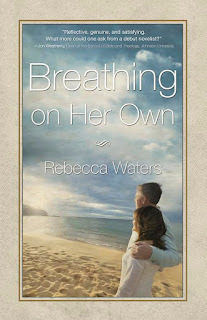 As the three year anniversary of the release of Breathing on Her Own approaches, I offer this short story prequel to the book. Enjoy! And try the recipe at the end for a delicious treat! “Just as well. I’d rather keep our grandkids than spend all night awake waiting for a ball to drop on television. M-m-m, those smell great.” Travis reached for a knife to cut the brownie cake. A smile spread across Travis’s face. “See? Isn’t this better than any old party to welcome in the New Year?” He put his arms around her waist. The front door opened letting in a gust of the cold winter wind and two giggling children. “Grams! Grandpa!” Laney and Rob followed close behind, shivering. Laney grabbed the jackets off of the floor, shook them free of snow and hung them in the hall closet while her family raced ahead into the kitchen. “Grams made brownies. We’re going to have ice cream and brownies,” five-year-old Ellie told her dad. Travis picked up his granddaughter and gave her a hug. “So where is this party you two are going to?” Molly asked. “…other people there you know?” Travis interrupted. He shot Molly a look that warned her to be careful what she said. “Where do they live?” Molly asked. “Andrea. Rob said the party’s at her house.” Molly hoped she sounded calm. “They live out past Milford.” Laney called to her two children to take their overnight bags upstairs. “Have fun. I’m going to bed.” She kissed her husband goodnight. “See you next year.” How can I not worry? Molly lay in bed and willed herself to sleep, but it didn’t come. I should have told them to call when they got home. Strains of music filtered up from the man-cave where Travis and Hunter were racing jet skis around a virtual track on the big screen TV. How could he do that? How could he play as if he didn’t have a worry in the world? Andrea. Andrea had seemed like such a sweet girl. Maybe she was, too. At least until she met Tori. Yep, Tori was the real problem. She was self-centered and strong willed. Worse yet, Tori was wild. She was the kind of person who gave the college a reputation for being a party school. If the party Andrea was throwing tonight was anything like the ones the girls attended in college, Molly had plenty to worry about. Maybe it was intuition. Maybe it was common sense. Sleep was not to be found. Molly looked at the clock. 11:48. Molly headed downstairs to join Travis and Hunter welcome in the New Year. Molly pulled her hand to her heart. “Is she okay? Preheat oven to 350. Grease a 9X12 inch rectangular cake pan. Mix ingredients in a large bowl until batter is smooth. Pour into cake pan and bake at 350 for 30 minutes. Brownies are done if a toothpick inserted in the middle comes out clean. Let cool a bit and cut into squares. While still warm, split individual brownies horizontally and fill with a scoop of ice cream. Pour hot fudge topping over brownies and serve. I'm pleased to introduce Cindy Huff to you today. I first met Cindy at a writing conference in Illinois. We made an immediate connection. Cindy has supported me as I published my first book, established my blog, and started writing groups. You will see her name in my new Writing to Publish series. (Who else would gently tell me I needed something other than a selfie for my headshot?) Cindy’s first novel is a wonderful work of historical fiction. I was honored when she asked me to read an advance copy. Join me as I interview Cindy. Cindy: Becky, it is a privilege to be with you today. I’m excited about sharing my writing journey with you. Me: I love the title. How did you come up with the title Secrets and Charades for your newest release? Cindy: The title tells the reader exactly what the story is about. The main characters and most of the secondary characters have something they are hiding. I hope the title will draw readers to open the pages to discover what those secrets are. I was surprised when my editor didn’t change the title. Often the publisher does. Me: No need to change it. I think it does exactly what you wanted. So, what led you to become an author? Cindy: I evolved. My writing focus parallels my life. I started in high school writing for the school paper, skits for Thespians and my church youth group. As a mom, I started submitting children’s short stories and radio scripts to Christian publications. I wrote a series of stories for a Christian school to use as a supplemental reader for their second grade. Because we were a homeschool family I wrote plays and presentations for a drama class I taught for our support group. I became a columnist for our local paper. I set writing aside once I went back to work and my younger kids were in private and public school. I’d quit my newspaper column and pulled back. My creative writing bucket was empty and full of doubting- my-ability holes. When I turned 50 my writing was reignited. My husband and I were teaching at a pastor’s conference in the Philippians. While there, God impressed me to take up my pen again. My vivid imagination was a gift. I asked Him for a sign. I felt rusty and out of touch with the modern writing market. I needed God to provide the tuition to take an online writing course. He made it very clear when a check for the amount I needed came in the mail from a class action suit I forgot I was part of. My reemergence into writing and my journey to novel publication began. That was nearly 12 years ago. Me: I love that. And I particularly love the visual of the “creative bucket …empty and full of doubting-my-ability holes.” I think we all go through that from time-to-time. Your bucket is obviously in good repair now! Where did you get your story idea? Cindy: I have a vivid imagination. Characters and story lines march through my head on a regular basis. Most don’t stay long and are easily forgotten. But Evangeline introduced herself to me and lingered for quite awhile. She shared her secret and told me her backstory. It was so relatable, even for the modern reader. Jake took a little more work. Typical man—short on words. Ecclesiastes tells us there is nothing new under the sun. So, their secrets are relevant for the modern reader but the time frame gives a little distance to allow the truths to hit home in a non-threatening way. Me: I’ve read it. A most excellent book! What is one takeaway from your book you hope readers will identify with? Cindy: God forgives completely. He doesn’t hold our past against us. We need to forgive ourselves and trust God as we live the new life he has given to us. Me: Would you share the book blurb with us? Jake Marcum’s busy ranch leaves him no time for courting, and his wounded heart has no place for love. When battlefield nightmares disturb his peace and his tomboy niece, Juliet, needs taming, somehow a mail-order bride seems like a logical solution. Dr. Evangeline Olson has no idea her own niece is writing to a rancher on her behalf, and she sure isn’t interested in abandoning her medical practice for a stranger. But when an inheritance threatens to reveal a long-buried secret, she travels west to become Jake’s wife. Jake soon realizes Evangeline is more than he bargained for, especially when her arrival causes a stir in the community. As the two try to find their way in a marriage of convenience, their fragile relationship is further tested by cattle rustling and kidnapping. Can their hearts overcome past hurts to create a real marriage? Me: It will be released this spring, correct? Cindy: The scheduled release date is scheduled for March 15, 2017. Me: And I trust you are already working on a sequel. Can you share a bit about your current project? Cindy: You're right! 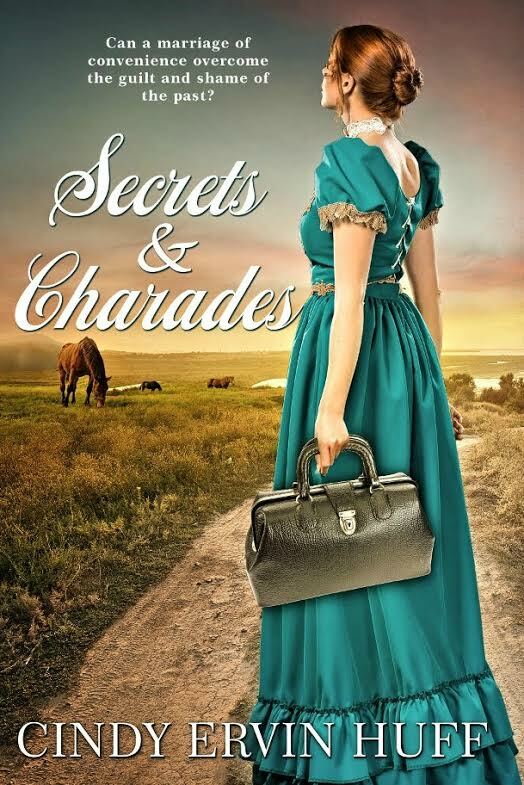 I’m writing the sequel to Secrets and Charades. One of my secondary characters, Isabel, begged to tell her story. She sets out to solve a problem on her own, only find herself in a bigger pickle. Evangeline and Jake have minor roles in this book. Rather than pick up where the other book leaves off Bride in Disguise starts a few months before Evangeline comes to Jake’s ranch and then a few scenes intersect Secrets and Charades while the reader follows Isabel’s story to the end. It’s a challenge to weave the two parts together and only repeat a few scenes from Secrets and Charades. I also finished a contemporary romance set in my city, Aurora, Illinois. A wounded warrior and a broken widow find healing and hope in New Duet. Why did I write a contemporary when my first novel was Historical? The characters came to visit and convinced me their stories needed to be told. Me: You’ve been busy, my friend! Thank you so much for sharing. I am excited about your release and trust you find a great audience. I’m already looking forward to Book 2! Cindy: Thank you so much for letting me visit your readers and talk about my new book and projects close to my heart. 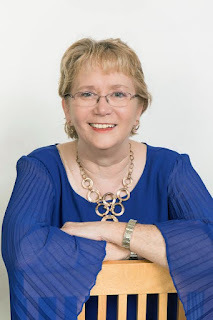 Cindy Ervin Huff is a multi-published writer and winner of the Editor’s Choice Award from Lighthouse Publishing of the Carolinas at the 2014 Write-To-Publish Conference. She is a contributor to Splickety Publishing Group’s anthology and has been featured in numerous periodicals over the last thirty years. Cindy is a past member of the Christian Writer’s Guild and President of the Aurora, Illinois, chapter of Word Weavers. Although she has been creating stories in her head since childhood it wasn’t until high school those imaginary characters began appearing on paper. After raising her family, she began her novel writing adventures. Cindy loves to encourage new writers on their journey. She and her husband make their home in Aurora, Illinois. They have five children and six grandchildren. Visit Cindy on Facebook at www.facebook.com/cindyehuff, follow her on twitter @CindyErvinHuff, or check out her blog at www.jubileewriter.wordpress.com. Leave your comments and questions for Cindy below. It's your chance to chat with a tenacious writer...a woman pursuing her dreams! The Crafting and Marketing of Your Novel: Who is Your Audience? Know your audience. Sounds simple. Simple but important. Your target audience determines your point of view, the setting, terminology and language, backstory, experiences, and well...everything about your book. It even influences your name choices and the title of your book. For example, I originally chose Shirley as the former owner of the Door County coffee shop in my second novel. I named the shop and the book “Shirley’s Cuppa Joe.” My target audience is women in their twenties and thirties. When I decided on a title for the book, Shirley’s Cuppa Joe didn’t grab that age range. I renamed my character Libby and chose Libby’s Cuppa Joe as the title. The title tests well with the target audience. The trick was to find a trendy name now that was also popular when the older woman was born. I researched names for those decades on the internet. During a writing conference workshop I attended in Illinois, the leader asked a question about finding your target audience. This was a workshop on writing romance novels. One of the participants suggested that romance is universal. She believed romance reached all ages and crossed cultural lines. The presenter fired several questions back at the woman and demonstrated that the assumption that everyone will respond to everything is naïve. This was confirmed when a publisher at the same conference said they only accepted clean romance. It was confirmed again when another publisher said they were looking only for Amish romance. Author Gloria Doty discovered there is also an age restriction. Many publishers market romance only to twenty-somethings and insist the characters fall in that age range. Gloria found an audience for her cowboy series well as the older female protagonist first featured in her book Bring a Cowboy Home. With the baby-boomer generation growing daily, the older characters in romance novels are finding a footing. You need to know your target audience when you begin to hunt down that publisher for your work. You WILL be asked. As a matter of fact, a good book proposal includes a section on the target audience for the manuscript you are presenting. Being able to tell your prospective publisher who your audience is lets them know a) you know they market to that audience and b) what they can expect when they read your manuscript. Whether you go with a traditional publisher or choose to indie publish your work, you WILL be expected to participate in marketing your work. Knowing your audience will help you in your marketing efforts. For example, once Libby’s Cuppa Joe is released, I know the twenty-thirty somethings likely to buy it prefer Instagram over Facebook. My marketing efforts for the book start now. The target audience also influences my tweets, blog posts, choice of reviewers, and so forth. The lesson here is that you can’t wait until your book is published to start marketing. Build your audience as you write. And if you need a set of strategies, be sure to grab a copy of Marketing You and Your Writing 101. I wrote that book for all of us. Writers helping writers. That’s what it’s all about. So the question today…and be honest if you're not sure or don’t know….Who is your TARGET AUDIENCE? Leave your answer in the comment section. 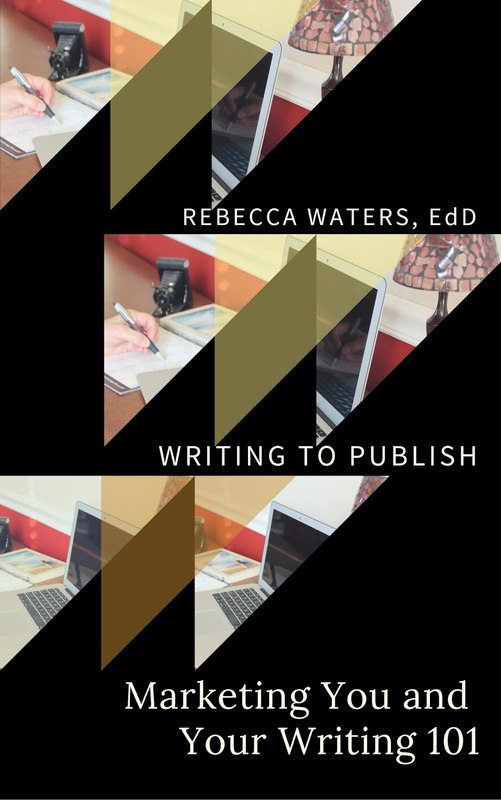 YOU COULD WIN A COPY OF MARKETING YOU AND YOUR WRITING 101!